Definitely not your 80's Golden Girls wicker. Far cooler. 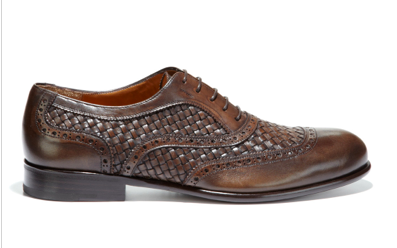 Spice up your shoe rack with a little texture and liven up your spring suit with a little basket weave. 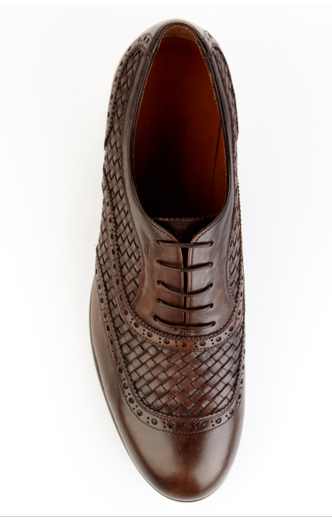 This Baldo Woven Oxford from Salvatore Ferragamo is a great shoe in a rich color to suggest texture at the office besides the waiting area club chairs and definitely dash of luxury to go with your dirty martini. Available now at Park and Bond.